When I started Top To Bottom Cleaning in 1993, my goal was to create a business small enough to guarantee personal service but large enough to retain a trustworthy, dependable staff over the long term. I'm pleased to say that this philosophy continues to work well for both my staff and my clients. Top To Bottom Cleaning offers home, office or small construction cleans. We can provide one time or regularly scheduled cleans. As the owner I remain totally involved. I am always available to my clients and staff in order to assure that you consistently receive the best professional, personalized and dependable cleaning service every time ... from top to bottom. 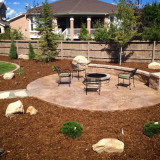 We service the whole metro Denver area. GOT IT MAID’s mission is to provide a clean and organized home for all of our clients. 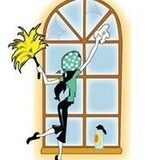 We love to clean and work our hardest each and every day satisfying all our customers cleaning needs. In every aspect of our professional work, we continue to prove that we are honest, dependable, and trustworthy. Its always been important to me to give quality work and remain trustworthy and reliable. Our business structure is based on these standards. Window Cleaning is a great way to meet more people in our Denver communities and to hold the standard of what great work is. We’re the Denver area’s source for superior house cleaning services, offering a deeper, more effective clean to homeowners in the Denver area. Our services combine proprietary Maid Right systems with top cleaning products and technologies. What’s more, every cleaning we offer is led by one of our owner/operators, with the same team cleaning your home on every visit. 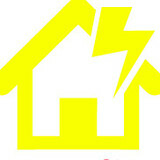 The result is a 100% family-safe and eco-friendly house cleaning service that delivers remarkable sparkle and shine. The Maid Right of Denver approach to home cleaning services starts with Maid Right Signature Clean®. The Maid Right Signature Clean® program literally sets the standard for a Maid Right clean. Under this program, Maid Right owner/operators are trained and tested in many of our industry’s smartest and most effective home cleaning methods. This way, you’ll have total confidence in the person in charge of your home’s cleaning services. 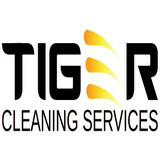 Maid Right Signature Clean® also outlines how we plan our cleaning services. Under this program, the Maid Right of Denver owner/operator in charge of your home’s cleaning services will create a fully-customized cleaning plan for your home. No two cleaning plans from Maid Right of Denver are entirely alike — instead, we make sure that your home is receiving the services it needs for the highest level of clean that we can deliver. Our company is based on the belief that our customers' needs are of the utmost importance. Our entire team is committed to meeting those needs. As a result, a high percentage of our business is from repeat customers and referrals. We Believe communication is one of the keys to our success. We will follow up with you during your clean if needed, as well as afterwards to get feedback on your experience using our services. We are a family owned and operated business. We would welcome the opportunity to earn your trust and deliver you the best service in town, at a price that will fit your budget. Try us out and call for your FREE estimate today. We look forward to hearing from you. Mr. Spiffy’s Maid Services is fully licensed and insured, providing liability, property damage coverage and all other applicable forms of insurance coverage. All of our employees are screened for your protection; they are neat in appearance and carry proper company identification. We value our customers and customer satisfaction is very important to us. We provide very high quality service for a very affordable price. Call us today for your free consultation! At Mr. Spiffy’s we understand that every customer is unique, so we customize your cleaning to meet those unique needs! We will handle any job requested no matter how big or how small. Our customer’s satisfaction is JOB ONE at Mr. Spiffy’s and all of our licensed and bonded employees are willing to go the extra mile to ensure you are 100% satisfied! We're a family-owned and -operated business – always have been, always will be.. We have over 15 years Experience in cleaning here in the greater Denver metro area. Same two people cleaning your house. References upon Request. Give us a call today and see what a difference we can make for you. What should I expect from a house cleaner in Denver, CO? Most professional Denver house cleaning services will do the same tasks for a basic residential cleaning job: clearing dust and cobwebs from all surfaces and fixtures; wiping all surfaces, including sinks, tubs, counters mirrors; cleaning tile; vacuuming and mopping. You may want to have different rooms detailed at different times, so ask about doing a rotating schedule if you want them to pay extra attention to each space (like kitchens and bathrooms) every other cleaning. Some house cleaning companies in Denver, CO will also offer additional services such as window washing or appliance cleaning, so ask about incorporating them into your deal or doing them as a one time thing if you’re interested. Pick up any clutter (laundry, toys and other gadgets) and put pets in a secure spot so they feel safe and don’t get in the way of the Denver house cleaning company. Put out any specific cleaning products or tools you want used, and make sure to lock up any valuables that you don’t want disturbed. Most housekeeping services in Denver, CO will enter with a spare key or garage code, but if that isn’t something you’re comfortable with then you should arrange for them to come when you are home to let them in. Typically Denver house cleaners expect payment at the time of cleaning, so ensure you have the appropriate form of payment (cash, check or credit card) on hand, plus a little extra for tip if that’s your style and they do a great job. Find Denver house cleaning services on Houzz. Narrow your search in the Professionals section of the website to house cleaners in Denver, CO and contact local companies to ask questions and get quotes.